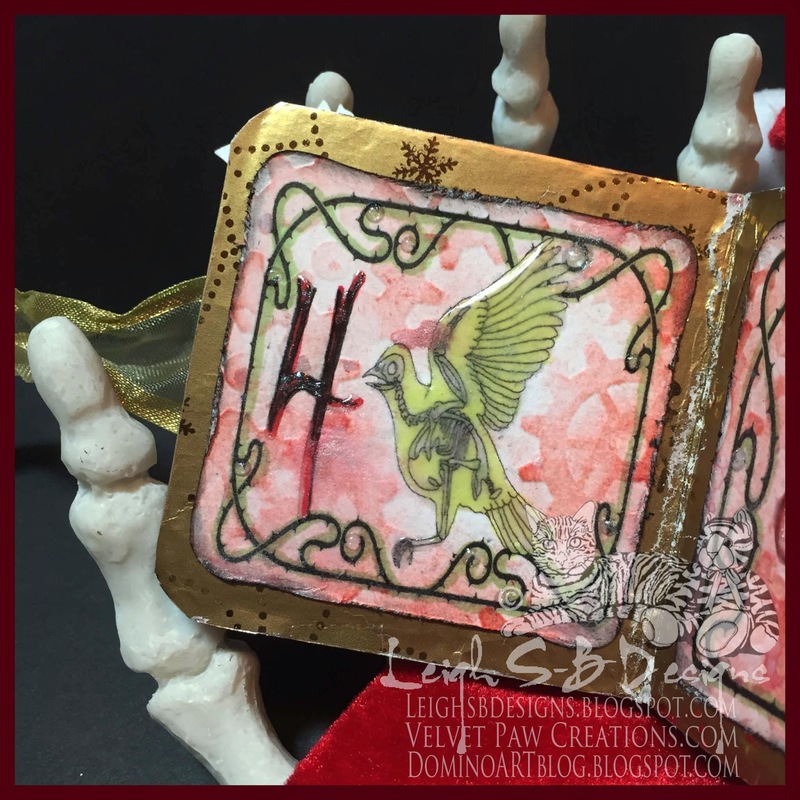 Velvet Paw Creations: Day 4 of 12 Days of Creepmas! What a fabulous hop it's been so far with lots of wonderful Creepmas creations to feast our eyes upon! Thank you for all the wonderful comments you left me so far, I truly appreciate them all! See you again on Tuesday Dec 9th for Day 5 of 12 Days of Creepmas! It is fabulous, Leigh! So elegant and the embossing is spooktacular! awesome as always!! Another super page is your lovely little book. I do like the way you've used glossy accents to give shine! Great work. Another great page in your little book! The stamps you picked are simply perfect! Gorgeous page. Love the images you are using!